Housecalls are on the rise in America, as pet owners are realizing the benefits of at home care! No more scary trips to the vet's office. No more barfing in the car. No more exposure to potentially contagious diseases in the waiting room. No more piling the kids and pets into the car and racing to make your appointment on time. Having your veterinarian examine your pet in their own environment where they feel most secure has several advantages. Your pet will be less stressed, resulting in more accurate physical and behavioral examination findings. There is less risk of exposure to contagious diseases which is especially important for puppies, kittens, and older pets with weakened immune systems. Less of your time is wasted loading the family into the car and traveling to the vet's office - the housecall vet has the freedom to schedule appointments around your schedule. There are no distractions, so you and your pet will have the veterinarian's full attention during your visit. 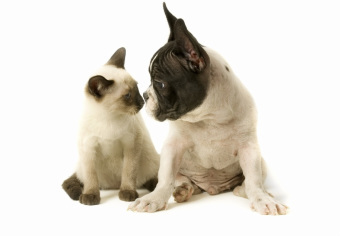 Hamptons Housecalls strives to be your partner in your pet's health care. Our goal is to provide individual care with individual recommendations. If you are a summer Hamptons resident, we also strive to work closely with your pet's primary care veterinarian at home. A large part of our practice is prevention and early detection of disease. As they say, "An ounce of prevention is worth a pound of cure!" Housecalls are especially convenient for these little ones who are much more susceptible to disease. Including blood and urine tests, specialized testing, cytology and biopsy. Including such things as subcutaneous fluids for kidney failure, routine testing and treatment for some certain of cancer, arthritis care. Much like people, terminally-ill pets can experience a significant amount of suffering before they die 'naturally', but they don't have to. Humane euthanasia is a last, compassionate, loving gift you can give your beloved pet. The procedure is stress and pain-free, and similar to the pet passing away in their sleep. It allows your pet to spend their final moments relaxed in their own home, and a dignified death in your loving arms.